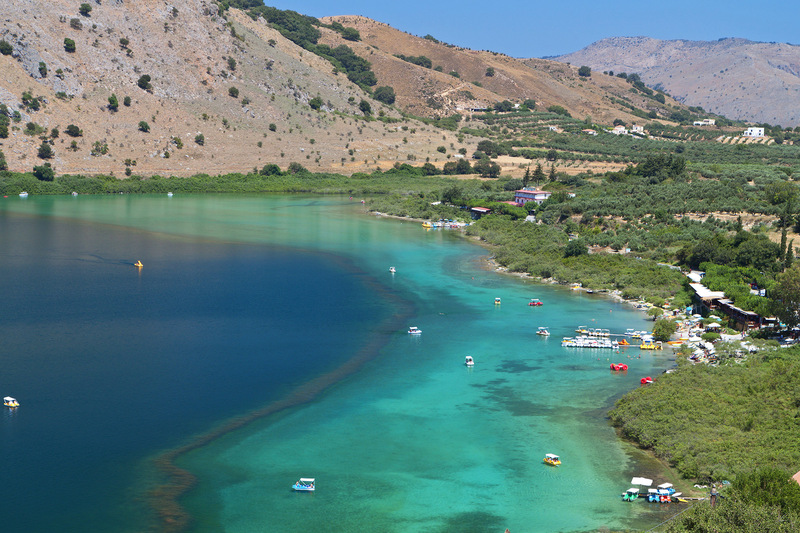 Kournas is both a lake and a village about 30 km southwest of Chania. and 3 km inland from the small resort village of Paralia Kourna (Kournas beach). Kournas has a population of 500 and a reputation as a pottery center, and has seen less de-population that many other Cretan villages. Historically, Kournas was Crete's unofficial capital both times during the Risings (against the steadily slackening grip of the Ottoman Turks) of 1866 and in 1897, when the Cretan General Assembly met there in 1897. The village is completely tourist-free, with no facilities to speak of, which is a good thing, because a visit there is a little like a trip back in time. The very old church of St. George (Agios Georgios) features 13th century wall frescoes. The only problem is that you have to find a local to unlock the church for you, otherwise you'll have to be content to look in the windows. 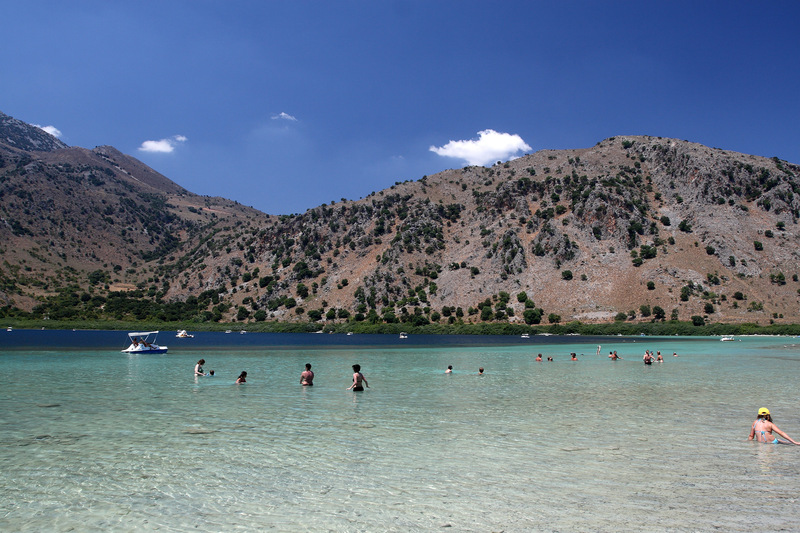 The main attraction of the area is Lake Kournas, about 3 km northwest of the village. On the road there you can stop at Kournas Cave, which is a shallow 35 meters deep, but displays nice formations, and can be viewed without flashlights when the sun is right, during the afternoon. 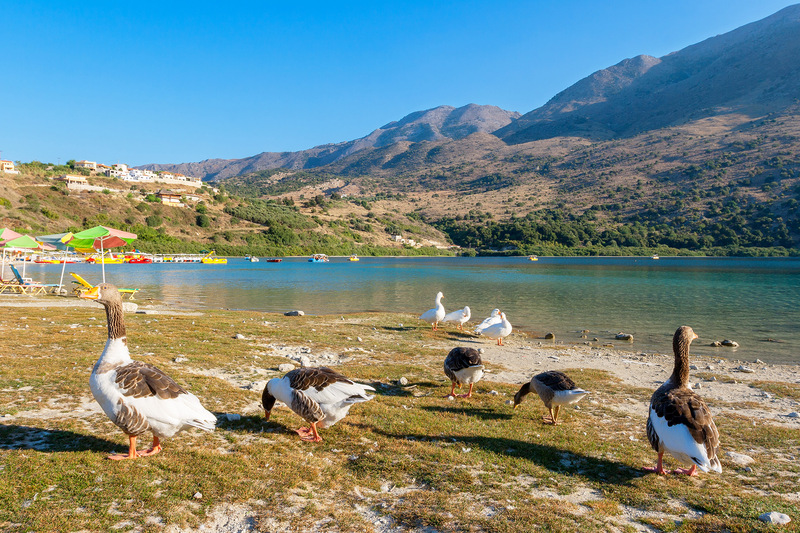 Crete's only freshwater lake, Lake Kournas is about a kilometer in diameter and 25 meters deep. The lake is a protected wetland and contains terrapins, ducks, eels, and water snakes. Some birds such as herons and cormorants have been spotted there as well. You can rent paddleboats to explore, and go swimming if you wish. 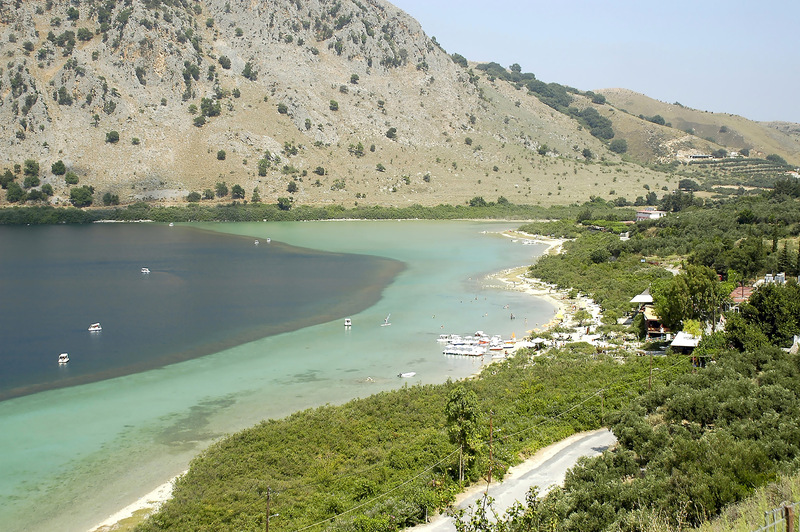 There is a small beach and some facilities on the eastern shore, as well as some tavernas.